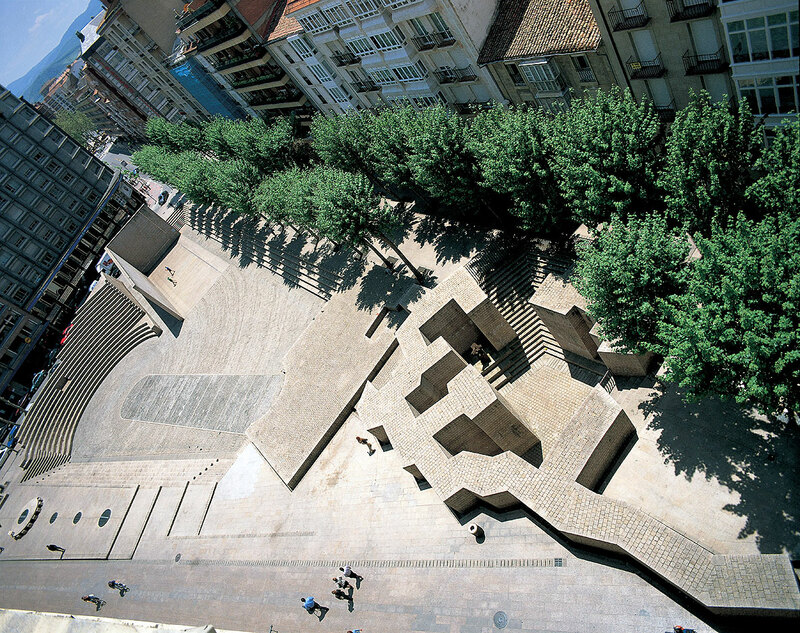 Designed by the architect Luis Peña Ganchegui and the sculptor Eduardo Chillida (whose there is a sculpture of the fueros in one of the sides of the square), it has a triangular shape in the center of the city. It is currently a venue for numerous sports and cultural events. It also has an exterior fronton.